The Master of Science and Doctorate Program, Faculty of Economics and Business, Universitas Gadjah Mada (MD FEB UGM) visited University Technology Mara (UiTM) in Malaysia at October 12, 2018. The visit is an activity dedicated to disseminate the REPESEA Project. The REPESEA is a cooperation project among universities in Asia and Europe funded by the European Union through the Erasmus Capacity Building in Higher Education (CHBE) scheme. It is three years cooperation which has been started since October 2016. Five programme universities, two from Slovakia, one from Poland, France and United Kingdom and six partner universities from Indonesia, Malaysia and Thailand are highly committed to the project. The project focuses to improve research performance in Asia. Five delegates from MD FEB UGM are Prof. Catur Sugiyanto, Ph.D., Nurul Indarti, Ph.D., Tur Nastiti, Ph.D., Handayani, S.E., and Tri Widiyanto S.E. 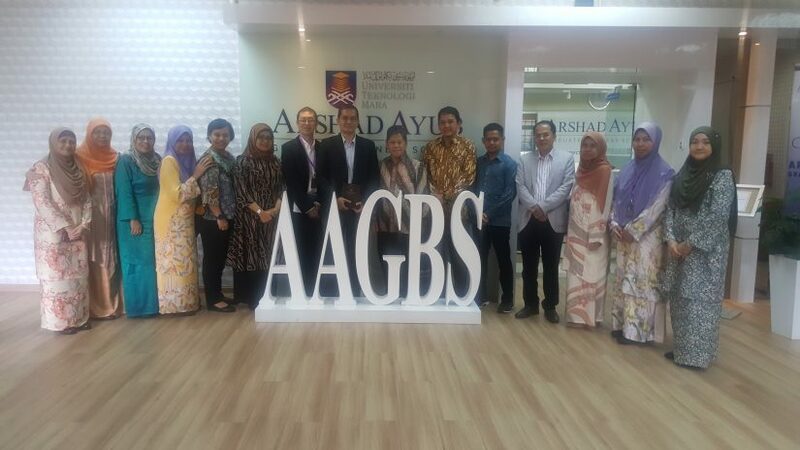 The delegates attended a networking meeting with the Board of Directors of Arsyad Ayub Graduate Business School (AAGBS) UiTM chaired by the Dean, Prof. Dr. Nor’Azam Mastuki and REPESEA Steering Committee from UiTM, Prof. Dr. Rosmimah Mohd Roslin.